We don’t simply repair your equipment. 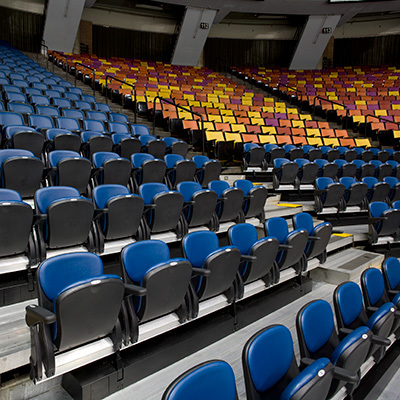 With over 50 years in the spectator seating industry, as well as 150-plus years of combined knowledge from our engineers, installers and technical sales staff, we are uniquely qualified to understand the daily challenges of the arena business, and the operation of telescopic seating in particular. We will customize our renovation and repair solutions to improve your changeover time, your facility’s safety, and your customer’s experience, and we will do it within your budget and schedule constraints.